Welcome to the second in a new series here on CentreForum’s blog — Liberal Hero of the Week — as chosen by Stephen Tall, Co-Editor of Liberal Democrat Voice. Conservative Secretary of State for Education. Reason: for his single-minded focus on raising educational standards, asking the right questions (even if the answers aren’t always right!). Michael Gove divides opinion like few other cabinet ministers. To the right, he’s a hero, the one true blue, reforming ideologue who is unafraid to stick up for traditional values. To the left, he’s a villain, a classic educational elitist determined to ‘turn the clock back to the 1950s’. Liberals — well, we’re a little more conflicted. In choosing Mr Gove as CentreForum’s ‘Liberal Hero of the Week’, it is not because I agree with all that he says. 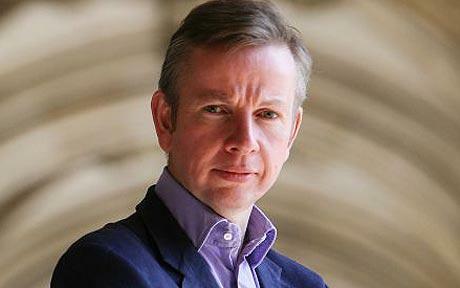 Why would a liberal laud Michael Gove? His leaked announcement this week that he proposes to scrap GCSEs and bring back O-Levels is a case in point. For example, the proposal that children should be divided at 14 into two groups — one identified by teachers as academically able enough to sit O-Levels, the other allowed only to sit for CSE qualifications — is wrong-headed. As the Financial Times’s education correspondent Christopher Cook has demonstrated, the effect of this would be to reduce social mobility, with high numbers of poorer children in the most disadvantaged areas sitting the CSE exams which will close off their opportunities for later progress into higher education and many professional careers. That would not be acceptable, and it’s to be hoped Michael Gove recognises that as the GCSE/O-Level debate unfolds. But Michael Gove has signalled a change of direction, and in the main it’s one liberals should applaud. For years, governments have locked themselves into a position in which they focus solely on national exam performance, on ensuring an ever-increasing proportion of children pass their GCSEs. ‘Grade inflation’ has set in and been encouraged, even though the UK’s relative performance in the international PISA league tables is patchy at best — this in spite of the education budget having more than doubled in absolute terms, from £43bn to £89bn, between 2000 and 2010. Michael Gove’s relentless focus on standards may sometimes go overboard, but that’s not such a bad corrective to the previous two decades of ‘levelling up’. 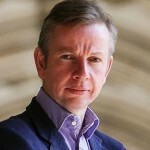 But it is not only Michael Gove’s emphasis on rigour in education that earns him our ‘Liberal of the Week’ title — it is also the proposal to abolish the system of multiple exam boards, a distorted market which has resulted in schools shopping around for the most lenient markers, and the boards lowering their standards to meet demand. Irritating as it must be for those children who have just slogged their way through weeks of GCSE exams to hear it, the reality is that they are easier than a generation ago. It’s right for Mr Gove to address this issue head on. There’s been much talk in the past day or so of a two-tier education system. That’s incorrect. We have a three-tier education system: independent schools for those who can afford to opt-out of the state sector; top-quality state schools for the middle-classes who can afford to live in nice areas; and mixed-quality schools for those who cannot afford either choice. Liberals should never compromise on ensuring all children, and especially those from disadvantaged backgrounds, have the opportunity to gain a good education which will enable them to achieve whatever they want in later life. Though I question some of Michael Gove’s policies, his determined focus on challenging the educational consensus opens up a debate which needs to take place. Until Michael Gove’s intervention late in the week, this week’s CentreForum ‘Liberal Hero’ was destined to be Gavin Barwell, Conservative MP for Croydon Central, for his courageous proposal to end the archaic laws forbidding people with mental illness running companies, becoming school governors and undertaking jury service.